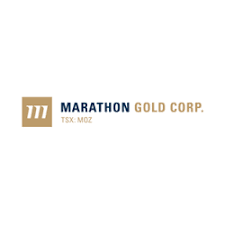 Marathon Gold Corporation (TSX: MOZ) is pleased to announce the continued success of the infill drilling campaign at the Marathon deposit. The new drilling has returned excellent results proving further lateral and vertical continuity of the high-grade gold between adjacent drill holes and confirming significant gold intervals in both hanging wall and footwall zones of the deposit to help reduce the strip ratio for the open pit. These drilling results continue to provide further confirmation of Marathon’s geological model and will assist in upgrading existing inferred resources within the Marathon Deposit into the Measured and Indicated resource categories.